8 laps of the circuit. The stages are virtually the same as last year's. In fact I could have just copied and pasted the entire thing from the 2018 thread (with a few team changes), but the official profiles aren't done to a realistic scale, so it's best to use the ones from La Flamme Rouge instead. The 2018 thread is here. What do you need to do to win? Going by last year's race, make the selection on stages 2-4 and pick up some bonuses here and there. I presume there will be live YouTube streaming again. Links to follow. Pritzen and Oosthuizen (both 19) took a 1-2 at the recent Tour of Good Hope. I highlighted Jaramillo last year as having the right skill set for Taiwan, but true to form, he was nowhere. Ochoa looks a better bet. 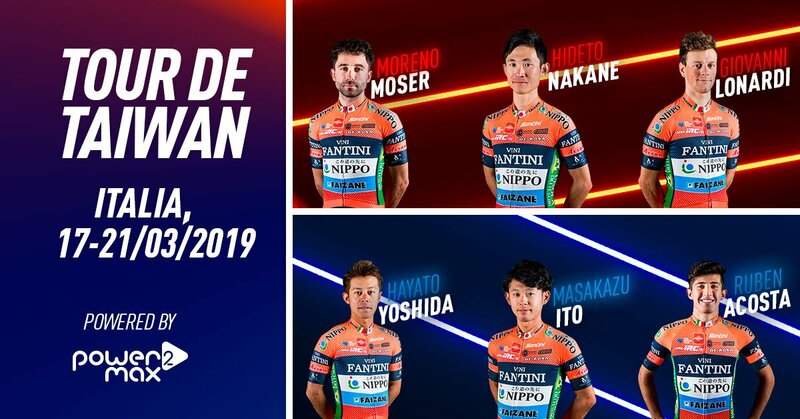 Defending champion Arashiro wasn't on any provisional start list, but the fact that he was training in Thailand recently with Feng (who naturally should be riding) suggests it might have been on his schedule. Unfortunately though he crashed the other day and fractured his elbow and leg which has put the kibosh on any participation. As we saw in Antalya, new boy Lonardi can sprint and climb a bit. • New signing Roberto "Ramon" Gonzalez makes his debut for the Pickles. Don't expect too much. • The race is poorly timed for BridgeLane as the Oceania Continental Championships are going on concurrently. So no Harper, Mawditt or Sunderland etc. However that doesn't mean that they're sending a weak team. 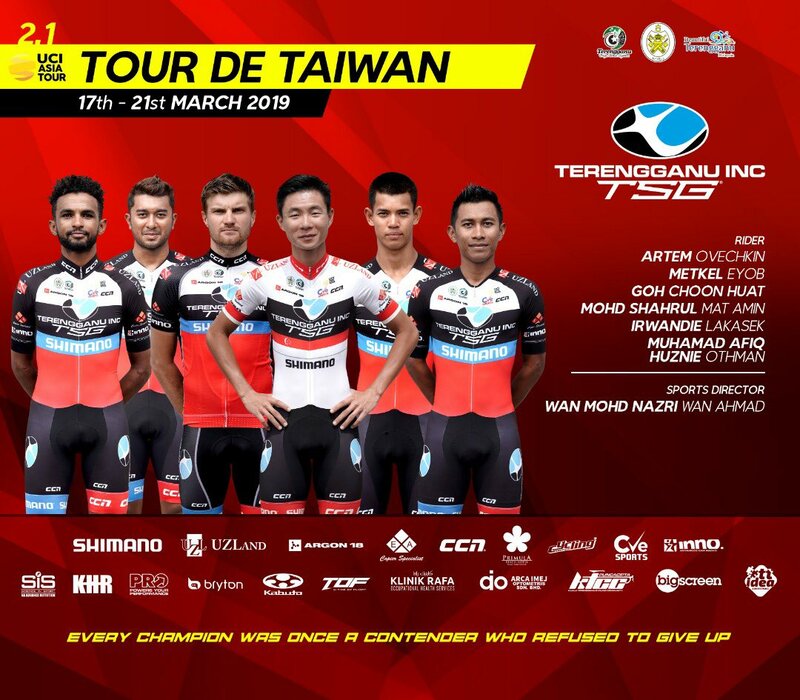 • Hermann Radteam are only going with 4 riders. Victor Bruck was meant to be the fifth rider, but is "seriously ill" according to DS Grischa Janorschke, who adds "we are all behind him and keep our fingers crossed that he will survive and return to our team." Sounds serious. • First UCI race for #floyd . On paper this should be right up McCabe's street. The nature of today's stage didn't lend itself to exciting race and thus I only cursorily skipped through the above YouTube broadcast. Elevate looked the strongest train (though there wasn't too much competition in that dept to be fair), but they messed up a little going into the penultimate corner (nearly causing a crash) and was Rodriguez really leading out Young - seemed to be riding for himself imo. Tomorrow's stage should be a bit more watchable. The last 20km is all you need to watch. That's about when they reach the climb up the side of the dam and the scenery gets more interesting as they travel alongside the reservoir and then up to the finish. There were a few attempted breaks during the first hour from groups of 5-6 riders over some very boring roads (ie big highways), but the most they lasted was about 20 minutes. The day's most enduring break was the duo of Volkers and Iribe who were finally caught between the first and second KoM points. The pace went up at that second KoM (the climb up the dam) and there was a subsequent break of some serious riders (Zukowsky, Lebas, Ochoa, Piccoli and someone else). They had a decent gap of 30 seconds and I thought it was game over, but the peloton behind still had numbers and they were brought back as the road twisted, rose and fell though the forest. There was still time for Piccoli to almost immediately attack again (game over for the second time I thought) and had a fair gap. However it was not to be. As you can see in the clip above both Clarke and Earle knew the value of getting into that corner first from previous visits. Earle overcooked it though and enabled the rider from Floyd's to cut back in front. Today's break formed almost straight away. I didn't quite catch all the riders, but I think Culey was the only one who had made the front group yesterday and it was him (along with Iribe again) who pushed on once they got onto the day's major climb. There was some action back in the peloton who were never far behind the break. Rapp, Suaza and Lebas put in a bit of effort and had nearly caught the leading duo by the time they summited. Now last year it was the descent and small kicker afterwards which really split up the pack, but it didn't seem to happen this year. The large pack caught the five riders at the base of the kicker and then only Ewart was minded to put in an attack on this steeper section. He was allowed to build up a lead of roughly two minutes. However 1 vs 70 leaves only one winner. Lonardi takes over the leadership on countback. They'll have to go some tomorrow to drop him. I saw the last 10km or so early this morning, but no time to watch any more than that. The guys just went on with this clear mission......(put) pressure on the climb to distance as many rivals they can. It worked. The yellow jersey have been dropped as most of the peloton. Israeli Guy Niv : “ We wanted to break it open and make it hard on everyone . But although it caused damage, it was not enough as a face wind made it easier to riders to stuck on (our) wheels . When that climb ended there were about 30 riders left including Earle and the Israeli . “ I tried another attack in the last stretch” said Niv. “But it did not shake it up”. In the last 200 meters the Canadian James Piccoli was able to escape and win while Australian Jonathan Clarke from Floyds pro cycling team - took the leader jersey by 6 seconds . I don't think anybody knows. Least of all Moreno. Maybe he'll be off to the family vineyard with his cousin sooner rather than later. Some intermediate bonifications providing the only GC changes in the final stage.